Imprisoned once again for witnessing to life in abortion clinics, the Canadian activist’s influence is spreading to some surprising places. 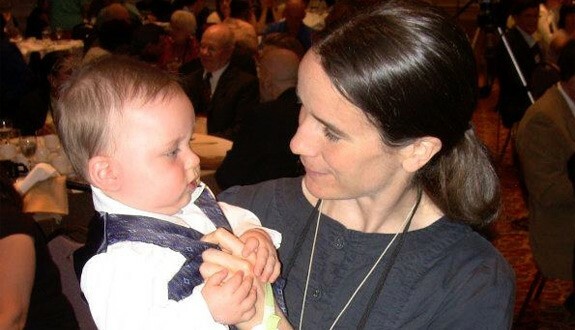 Canadian Catholic pro-life activist Mary Wagner was arrested on December 23, 2014 for entering a Toronto abortion clinic and asking the women she found in the waiting room not to go through with their scheduled procedures. Her arrest and subsequent imprisonment made headlines—in Poland. The Polish news items appeared several times on my Facebook page. I was not as intrigued by the story as I was by the language in which it was broadcast. Other women in Toronto have been arrested for pro-life work, but they haven’t become famous in Canada, let alone overseas. This was not the first time Mary had been arrested for her pro-life activities; last June, she was released after spending 22 months in prison. In October, she accepted an invitation to visit Poland, and was taken on a nation-wide tour during which she was greeted by an estimated one million admirers in 26 cities. When a Toronto Catholic complained to me that the Canadian media were ignoring Mary’s story, I was happy to pass it on to another journalist. 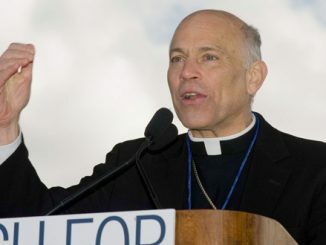 But when TV personality Michael Coren wrote a column in the Toronto Catholic Register questioning Mary’s motives—hinting that Mary enjoys the attention—I wrote a column in her defense. When I was a teenager in the pro-life movement, I never met a pro-lifer who risked arrest for personal glory. Public expression of pro-life convictions in Canada is tantamount to political and sometimes social suicide; pro-lifers are widely despised. In reserved Toronto, asking strangers not to have abortions is almost unthinkable. Only a very shallow or disturbed person would do so for selfish reasons. It seemed outrageous to hint—without so much as meeting her—that Mary Wagner was such a person. But one thing about her activism did bother me: the roses. Mary has offered roses to the pregnant women she tries to help. Her Polish fans, unsurprisingly, have made the white rose a symbol of Mary herself. Giving flowers to pregnant women instead of pamphlets and telephone numbers was new to me. It seemed a little theatrical. I read the English-language news about Mary and studied her photographs. She is a slim, dark-eyed woman who looks much younger than her 40 years, thanks to delicate features and long brown hair barely touched by grey. She wears long-sleeved T-shirts, cardigans, ankle-length skirts and a Miraculous Medal of Mary; I’ve met dozens of pious Catholic girls who dress like that. After asking the opinion of friends in Toronto’s pro-life community (“Nut? Saint? Regular girl?”), I decided to meet Mary myself. When I visited Toronto this February, a mutual friend made enquiries on my behalf. He reported that Mary would be happy to see me. However, the prison officials would not allow me to take notes or record our conversation in any way. Since 90-year-old Eugenio Scalfari of La Repubblica saw fit to interview Pope Francis without notes or a tape recorder, I felt I could interview Mary without them, too. However, I would not put words into my subject’s mouth. Instead, I would interview a friend of Mary’s who was giving me a lift to the prison, speak with Mary herself at the prison, and write down everything I remembered as soon as we left. On February 24 at half-past noon, I met Jack Vijinski on the frozen edge of Toronto’s Polish neighborhood. Jack is 48, tall, grey-haired, bespectacled, and Polish on his father’s side. He is currently between jobs, having been until her recent death his mother’s full-time care-provider. Jack drove his car into the lane beside the bus terminal, and I gratefully slid into the passenger seat. It was -10° F outside, and the car was heated. A choir sang a hymn in Latin over the radio and then a male voice addressed us in Polish. Twenty minutes later, we had finished the Sorrowful Mysteries. “So when did you meet Mary?” I asked. Jack had met Mary only twice before. After hearing of her December arrest, he attended both her court hearings and began corresponding with her mother Jane, whom he now regards as his spiritual mother. In addition to visiting Mary and talking to Jane, Jack reads online Polish articles about Mary and translates them for his blog. The Vanier Centre for Women is a long, low building fenced in with irony. First, Georges Vanier, a Canadian Governor-General and the father of Jean Vanier, founder of L’Arche, was a Catholic so devout that he may be canonized. Second, the prison reserves two parking spots for “Expectant Mothers,” each with a sign illustrated with a cheerful stork carrying a baby in a sling. Jack and I signed in at the opaque-windowed desk, showing two pieces of identification. We were given keys to shut our belongings into lockers by the front doors. My opening gambit to retain pencil and paper—a meek request to bring along “family photographs”—was firmly checked. After a few minutes’ wait, we were called to the visitors’ door by a female guard and told to walk through an x-ray while our footwear went through another x-ray on a conveyor belt. Then we went into a cream-painted hall and into a cream-painted room with thick walls separating the cubicles. The phones had not been connected yet, and she seemed to be shouting thanks through the glass for my Catholic Register column. I shouted back until she indicated the phone. I sat down and picked it up. But when her voice came through, I gave the phone to Jack at once so he could pass along her mother’s love. He did so by placing his hand on the glass. Good-humoredly, Mary placed her hand on her side of the glass to match his. Greetings exchanged, Jack gave me back the phone. “I don’t know,” said Mary. She cannot remember not knowing about it. Her parents were active in the pro-life movement, and so Mary began her witness as a child, going to meetings, vigils, and Life Chain. She was aware that her mother, who has given birth to seven children, experienced difficult pregnancies and suffered a miscarriage. Her parents, fierce opponents of the contraceptive mentality, adopted five more children. As a student at the University of Victoria, Mary studied English literature and French. Afterward she worked in a crisis pregnancy shelter and discerned in prayer that she should go directly where the endangered babies were. Her first arrest came about unexpectedly, in 1999, after she befriended a teenage girl begging on the steps of her local cathedral. Mary discovered the 16-year-old was pregnant and that she and her boyfriend wanted an abortion; they were merely waiting for some paperwork to be completed. Although Mary failed to convince her friend to cancel the appointment, she knew when and where it would be. She waited for the couple at the abortion clinic, and although they insisted on entering, they let her accompany them. When a clinic worker called the name of another pregnant woman in the waiting room, Mary repeated it to get her attention. When the woman glanced at her, Mary said, “You don’t have to do this.” This drew the attention of staffers, who asked Mary to leave. Mary refused, and the police were called. Mary smiled at that. She loves literature, but the writings that inspired her pro-life work are the writings of Mother Teresa and of Saint Therese of Lisieux. Her greatest influences have been her parents, the American pro-life activist Joan Andrews Bell, whom she first met in 2000, and her mentor, Canadian pro-life activist Linda Gibbons, who has been in and out of prison for 25 years. “Why do you give pregnant women white roses?” I remembered to ask. “White or red roses,” Mary corrected. She explained that in 2012 she had spoken to a man named John, the survivor of a chemical abortion, who had gone to an abortion clinic on his birthday to give roses to the clinic staff on their way to work and tell them his story. Mary was very moved by that and thought it was a beautiful and non-threatening thing to do. “Now that’s a question. I don’t know.” The first letters from Poland arrived after she was imprisoned in 2012. During that trial, Justice S. Ford Clements had said, while lambasting Mary, “You are wrong and your God is wrong.” When the news appeared in a Polish paper, readers were shocked that a judge in Canada—Mary emphasized the word—would say that. Mary’s face lit up as she recalled the shrines, especially of Our Lady of Częstochowa, that she visited during her 2014 visit to Poland. She admitted, laughing, that she has learned a few words of Polish, but that it is a very difficult language. If she returns to Poland, she would like to go hiking. As I spoke to Mary, trying desperately to remember everything we said, I was reminded of a visit to Benedictine friends, cloistered nuns behind a grille. They had the same tranquility. They all emanated a deep peace. I no longer felt like a journalist chasing a story—in fact, that feeling had disappeared as soon as I decided Mary was a regular girl. I felt like I was visiting a comrade—and there were moments in which I felt like a pilgrim consulting a mystic. Any further questions seemed pointless; only one thing was important. “Thank you for asking,” she said enthusiastically. “We need a priest to come and hear confessions.” Many women she has met in prison have had abortions, and they want to be reconciled with God. Although the local parish priest does what he can, he doesn’t have time. Meanwhile, there have been only two Masses said in the prison since it was built, both of them during Mary’s imprisonments. It was a shock to me that Catholics prisoners in Ontario had so little recourse to the sacraments. I promised that I would bring up the subject in the archdiocesan paper, and Mary thanked me. “This place is a gold mine of souls,” she observed. Our allotted half-hour was coming to an end, so I handed the phone to Jack. Jack suggested that we pray together, and so we did. When the phone was cut off, we chatted loudly through the glass until a grimacing wardress appeared. I followed Jack out of the room and to our lockers. We went back into the waiting room. I began to scribble in my notebook. “Christ was there,” I wrote.